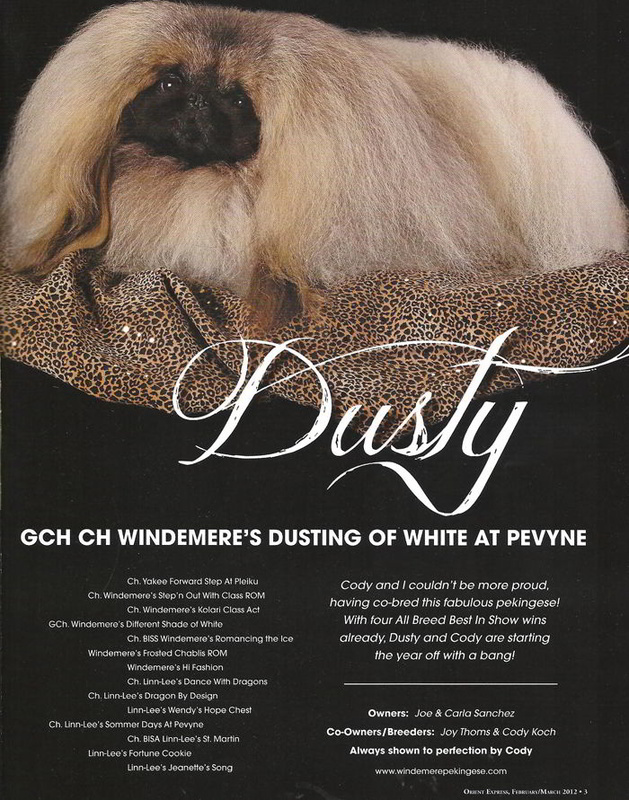 DUSTY has been semi-retired from the ring and took a vacation to Oregon in 2013 where he sired several litters for me here at Windemere. 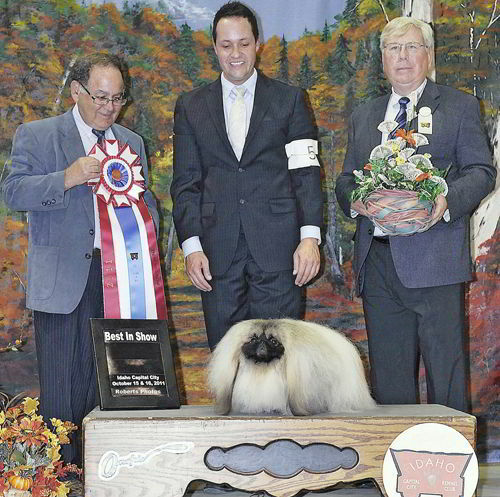 His children are doing him proud and he is now back at home with Cody in Reno where he is carrying on his legacy. 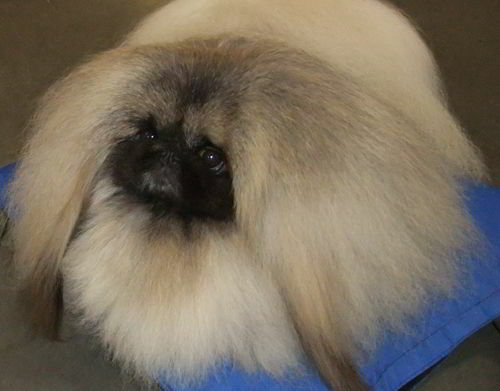 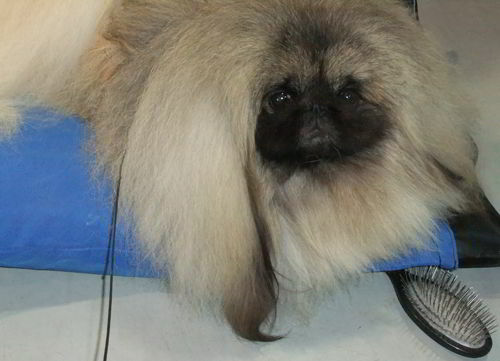 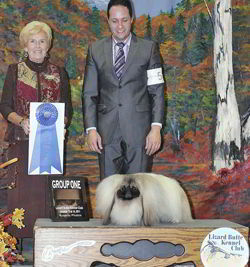 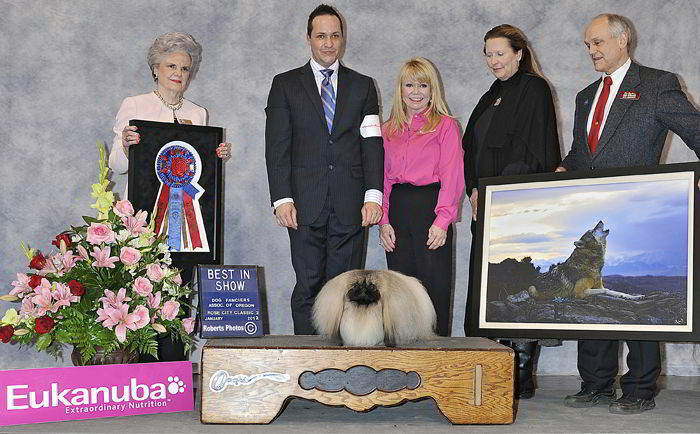 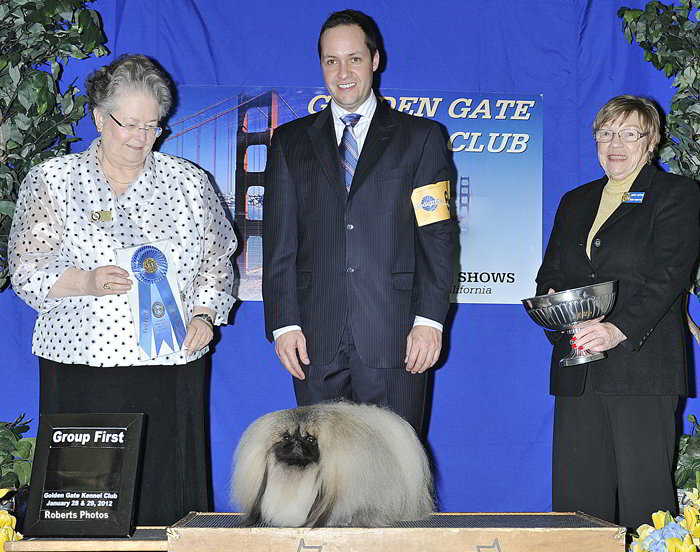 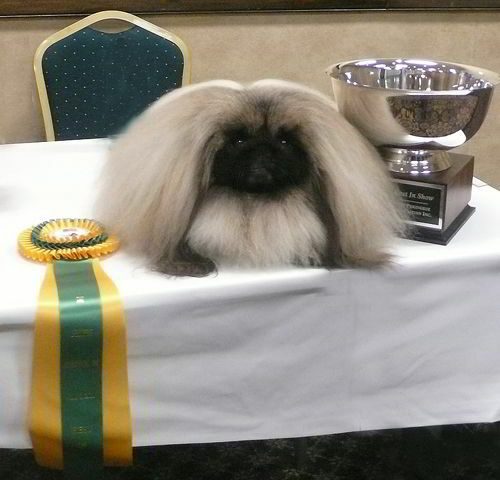 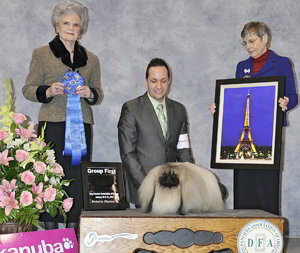 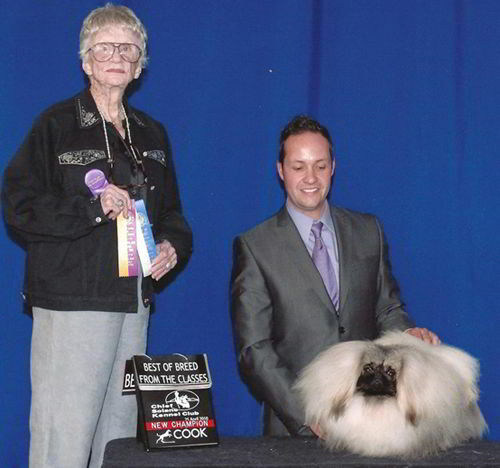 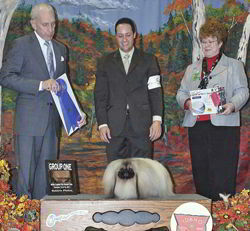 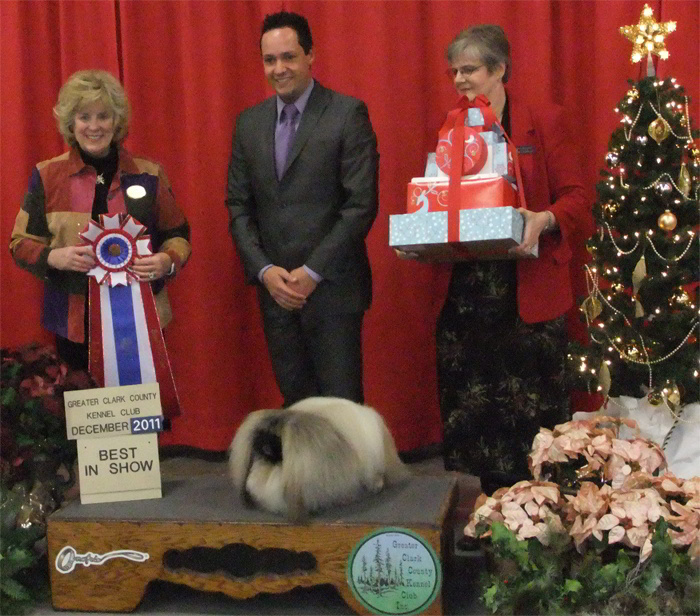 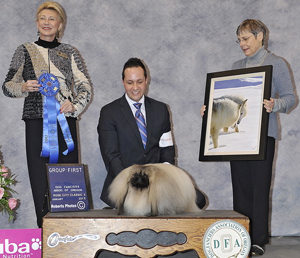 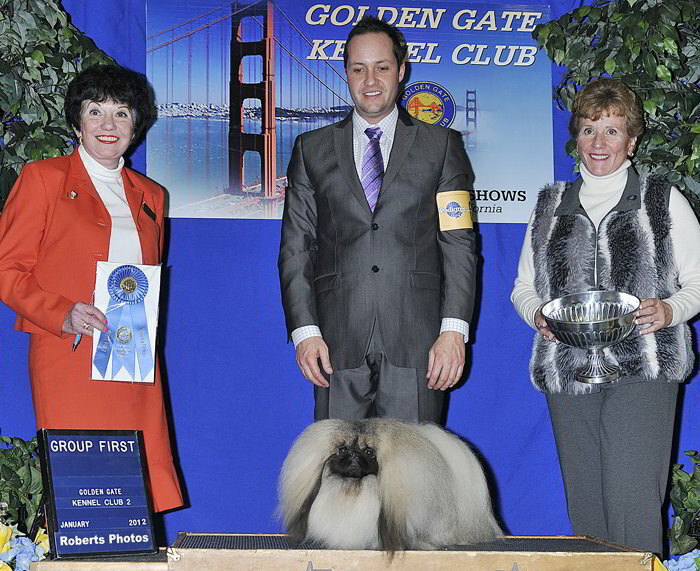 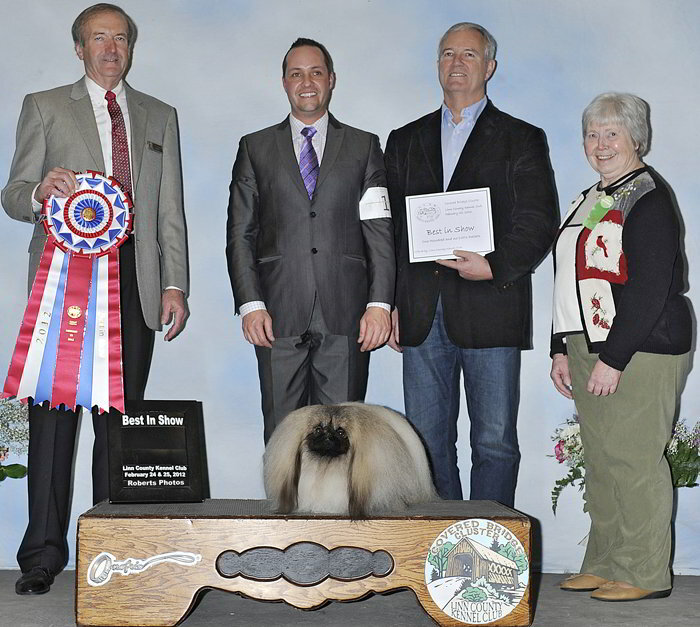 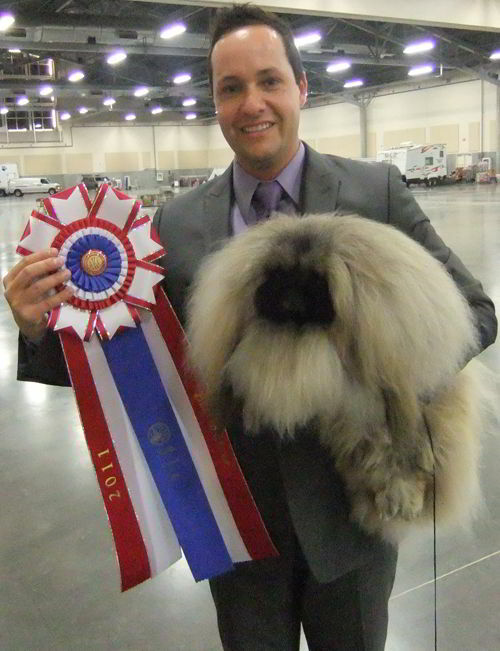 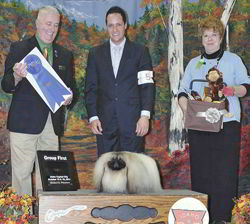 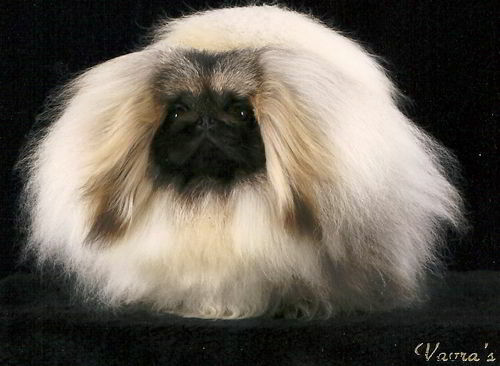 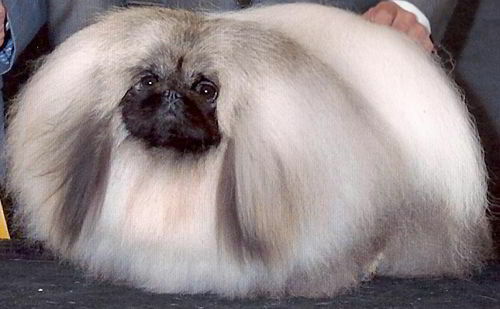 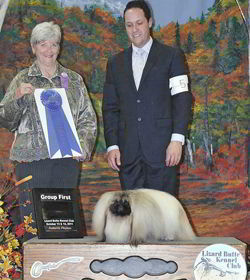 He finished 2012 as the #1 Pekingese in the country, the #4 toy dog and the # 19 dog of all breeds. 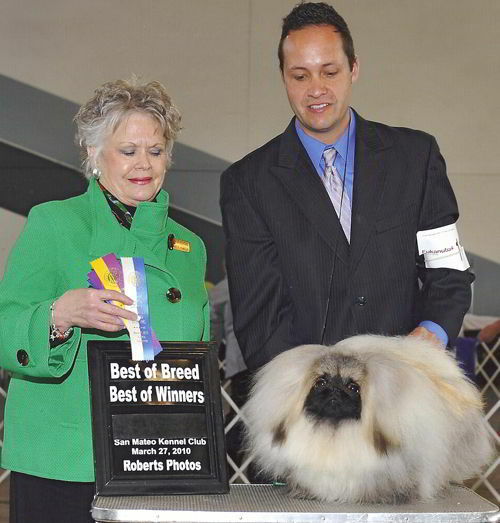 Cody and I are both proud of his outstanding record, but most of all for his extreme soundness, impeccable movement, glamour and ability to pass these traits on to the next generation.